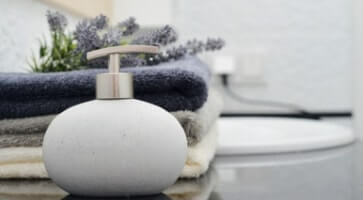 Pretty and useful: bathroom accessoires like towel holders or makeup mirrors are available in several designs, some nostalgic and noble, others upright modern. Ever had a shower in the rain under the open sky? We neither - at least the feeling can be simulated at home with a large rainshower. 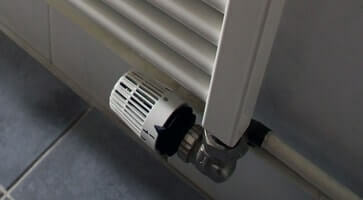 Renowned manufacturers and reliable quality for your sanitary installation: so it stays nice and cosy inside while it turns cold on the outside. Quite a large selection: the insani24 bath shop includes faucets for washbasin, bathtub, shower, bidet ... oh, and also for your kitchen, of course. Cleaning is no fun, you say? You are right. Good that there are professional cleaning products to make the most annoying work a bit easier. Our Bath Shop: The insani Bath Shop sells products for the bathroom to private customers and companies since year 2000. A big thank-you for more than 400.000 customers! We are looking forward to your purchase too and thank you for stopping by. Fast: For smooth processing of payment and delivery, the daily shipping is handled by a well-rehearsed team. Also, we rely on long-term partners like DHL and PayPal - companies, which also our customers can put their trust in. Easy: Oversight, clear structure and usability are of highest priority in our bath shop - order registration-free! Same goes for our processes, which still work best by the motto „keep it simple“. 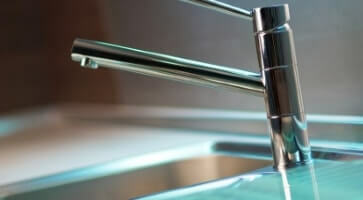 Low priced: Due to long relationships with our partners and suppliers, slim processes and a great team, we are not only a consistent offerer of quality bathroom products; we also keep our prices reasonable and our shipping costs as low as possible. The insani Bath Shop sells products for the bathroom to private customers and companies since year 2000. Thanks to fair conditions for bathroom equipment, taps and installation material, more than 400.000 customers have found their way to us. We are looking forward to your purchase too and thank you for stopping by. The daily shipping is handled quickly by a well-rehearsed team that prepares your order for a secure journey to its destination. 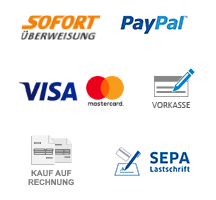 For smooth processing of payment and delivery we are working for years with reliable partners like Paypal, Sofortbank and DHL. Respected companies, which also our customers can put their trust in. Certainly not every customer belongs to the Internet's natives, so our Bath Shop is designed as understandable as possible: oversight, clear structure and usability are of highest priority. The same goes for our internal processes, which still work best by the motto „keep it simple“. So many things don't need to be complicated to be good. All our experience would be useless if it wasn't for your advantage. Due to long relationships with our partners and suppliers, slim processes and a well-rehearsed team, we are not only a consistent offerer of quality products for your bathroom, but on top of that we keep our prices reasonable and our shipping costs as low as possible. 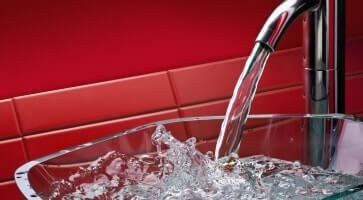 Bathroom faucets and taps from known brands such as Grohe or Hansgrohe offer top quality for top prices. Choose a faucet, which design fits to the look and dimension of your washbasin to give your bathroom a harmonious look. Enhance your bathroom with usefull and pretty accessoires from Keuco, Emco or Grohe. Besides soap dispensers you can find also towel holders toilet brushes or paper holders from the same design series, so every little piece in your bath fits to the other one. There are kitchen taps with rotable outlet or even a pullout-spray, which will ease dishwashing immensely. With Grohe Blue you can even get sparkling water directly out of your faucet and save dragging heavy water bottles. Modern toilets without flushing rim can also be bought in sets including the toilet seat and mounting material. Such toilets are more hygienic and easier to clean than normal toilets with rims. 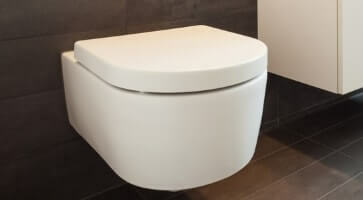 Suitable cisterns from Geberit or TECE can also be found in the shop. Clean your bathroom correctly with products from Sanit Chemie or Grohe, so your faucets shine like new, without any streaks. 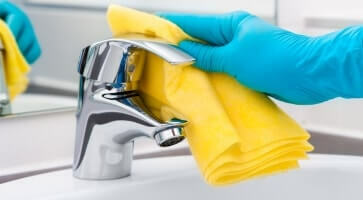 Further there are special cleaners for tenacious dirt at your construction site or blocked pipes. Heating spare parts from Vaillant, Bosch-Junkers or Wolf can also be found in our shop. May it be a recuperator, sensors or complete control units – we keep many of that permanently in stock, so you don't need to sit in the cold for too long. Parcel shipments will be sent only by DHL, because with that partner we have made the best experience in terms of speed and reliability – deliveries to DHL Packstations are also no problem. The transport of large freight is accomplished with IDS, who will find an personal appointment with you to deliver the goods. Please note that we do not send those large items overseas. You want to buy a small piece and don't want to register just for a single order? In our shop, you don't need to. Place your order as a guest, completely without a registration process. If you plan to order more often, you can create an account anytime, so you can manage delivery adresses and view your order history.